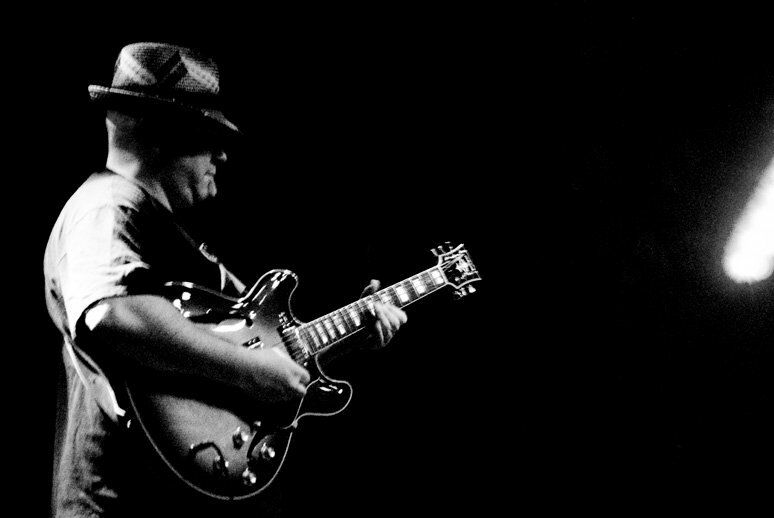 Colin Aberdeen is a bluesman based in Syracuse, NY and frontman for the genre-defying roots rockers Los Blancos. Colin has traveled extensively throughout the U.S. in his two decades of live performance and has earned a variety of awards in his career including repeat honors of favorite guitarist and vocalist in Blues Connection and Syracuse New Times. Colin has released numerous albums with Los Blancos in their 15 years as a touring band and also been featured as a guest musician on a host of others. When he's not armed with an electric guitar for shows with the band, Colin transforms into a down-home solo performer of original and traditional blues. He plays an extensive repertoire of delta slide and piedmont blues while engaging audiences with soulful vocals and a stage presence of wit and charm all his own. Colin is currently performing in and around Syracuse with Los Blancos as well as maintaining a busy schedule of solo performances in the area.